BitLocker is a Windows-specific disk encryption scheme. Keys can be stored and retrieved from Active Directory using a common program available on Windows systems. 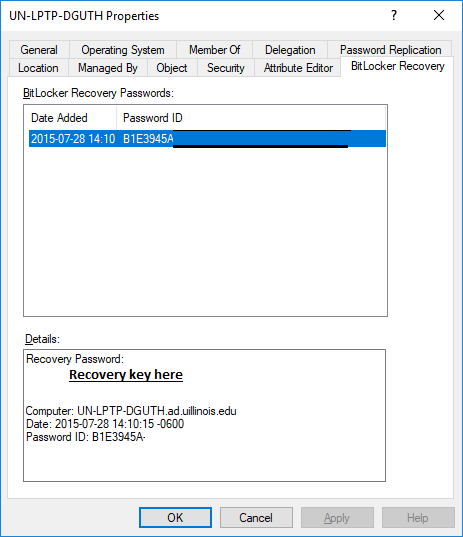 This article describes the steps an IT Pro can take to recover a BitLocker key stored in Active Directory. to be a member of your unit's BitLocker recovery admins group. This needs to be requested from the AD Group. a Windows workstation with Active Directory Users & Computers installed (install directions, Microsoft's downloads). 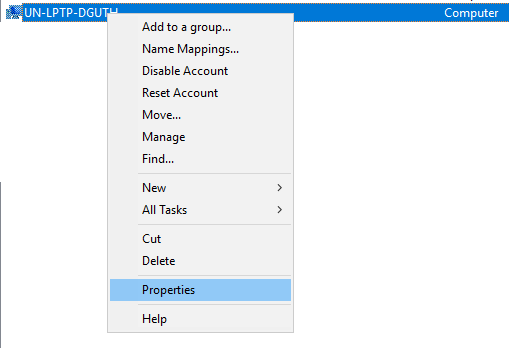 Find the AD computer object representing the machine using Active Directory Users and Computers. Identify the correct recovery password using the Password ID which should match the Bitlocker prompt on the workstation.